It seems right to introduce Christian Kleine by describing his early influences, especially if you are familiar with his work. He could quickly become pigeonholed as an early pioneer of IDM and electronica, with legendary releases on Morr Music and City Centre Offices, but whilst this assumption is true for many of us, to this day he prides himself on his openness to musical styles and its many potential influences on his productions. 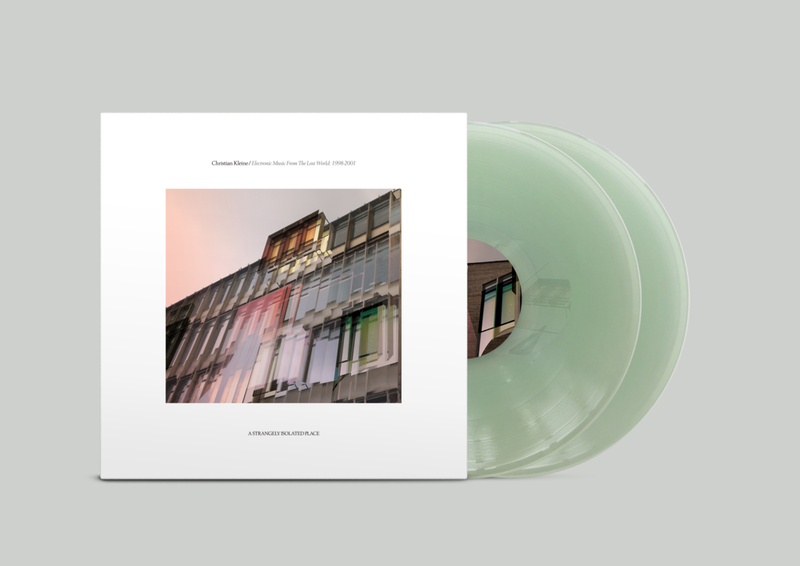 Christian's most notorious efforts can be heard alongside DJ Thaddeus Herrmann, as Herrmann & Kleine, or as a producer on Arovane's infamous Tides, but Kleine's detailed electronic productions have always remained true to his beliefs and signature sound. Listening back to his first album, Beyond Repair (2001), or his most recent release Coreal (2016), the ambient textures still hold strong amongst the mix of instruments, crunchy beats, glistening melodies and the odd Japanese train announcements. James Holden dropping Leaving you Behind in his Balance mix (arguably one of the best mixes of all time) proved the timelessness of the sounds to come from Christian and Herrmann. Fifteen years of Kleine so far and we're still left wanting more of the same. "I try not to exclude any kind of music from being heard in my life. Even at an early age I had a special interest in everything that's different from the ordinary. So at some point, when I was around 16 or so, I found no contradiction playing Detroit techno records in addition to (for e.g) Dead Kennedys, at juvenile punk parties. Some people had a different opinion and tried to stop me, but eventually some began to see some similarities in vibe and sound. I try to keep this sort of practice as a general principle in my life; to soak up what’s beyond or before, or what the connecting elements and attitudes in music are. As punk/post-punk, 90s hip-hop, drum&bass and later electronica were big inspirations for me, so was music which is just what it is - music not trying to be classified in any way. This kind of music can often be found from artists who are driven not by fame or money, but by passion and interest in melodies and sound itself - that’s where the most intimate and inspiring forms of music have their home and it’s a pleasure to dive into it. Just drift and let go…" - Christian Kleine. Christian's ethos is both eclectic and unapologetic when embracing music and it just goes to show how superb both your productions, and your mixes can be when approached with such openness. Isolatedmix 61 is a detailed dive into a multitude of granular styles, with early classical and library influences, soundtracks and more recent ambient and electronica; all forming smaller parts of a bigger picture that Christian sets out to paint. Christian Kleine's latest album Coreal is now available on Bandcamp, or if you're more interested in his approach to production, jump into his Ableton software project Max For Cats.